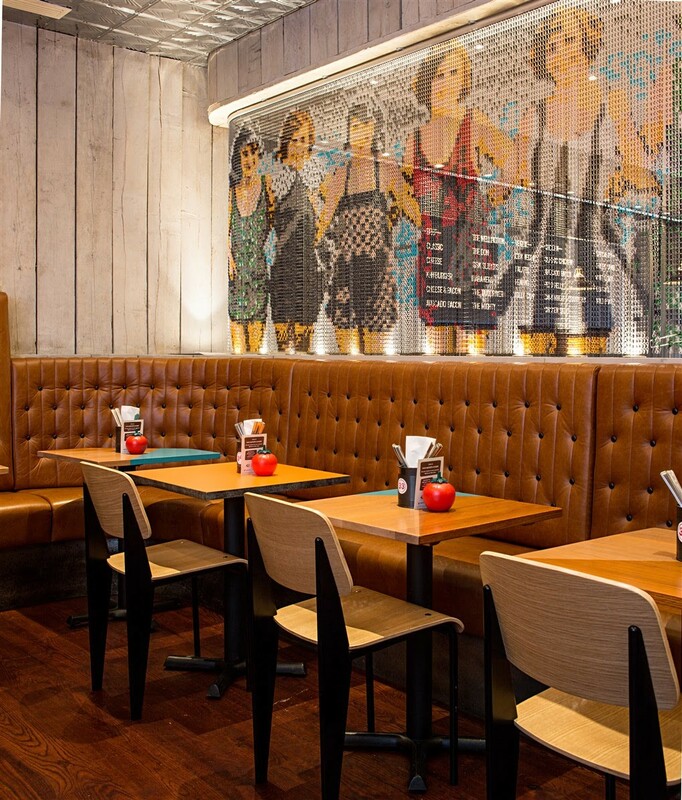 In 2013, moreno:masey architecture studio revitalised the Gourmet Burger Kitchen from Brighton, one of the restaurants of the artisan burger chain with more than 90 stores throughout the United Kingdom. 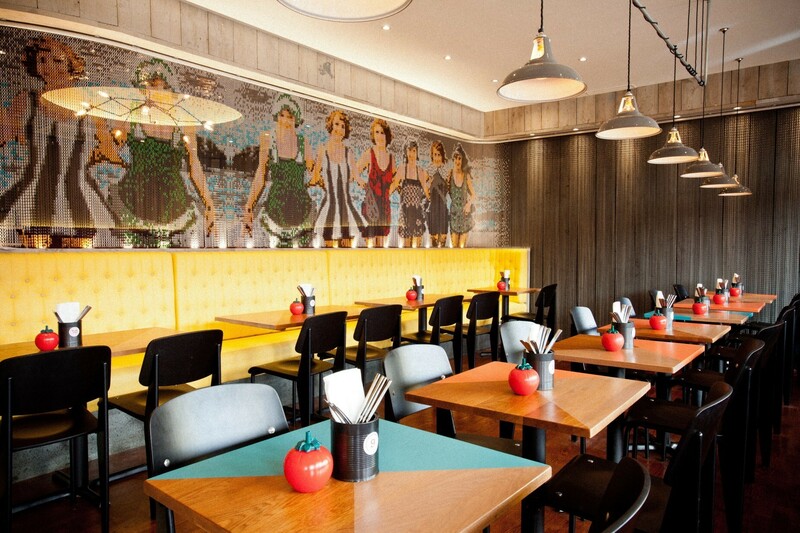 To do so, the studio captured the essence of Brighton through its heritage and culture but maintaining a sense of identity for the brand within what would need to be a striking and unique restaurant. What can we highlight? 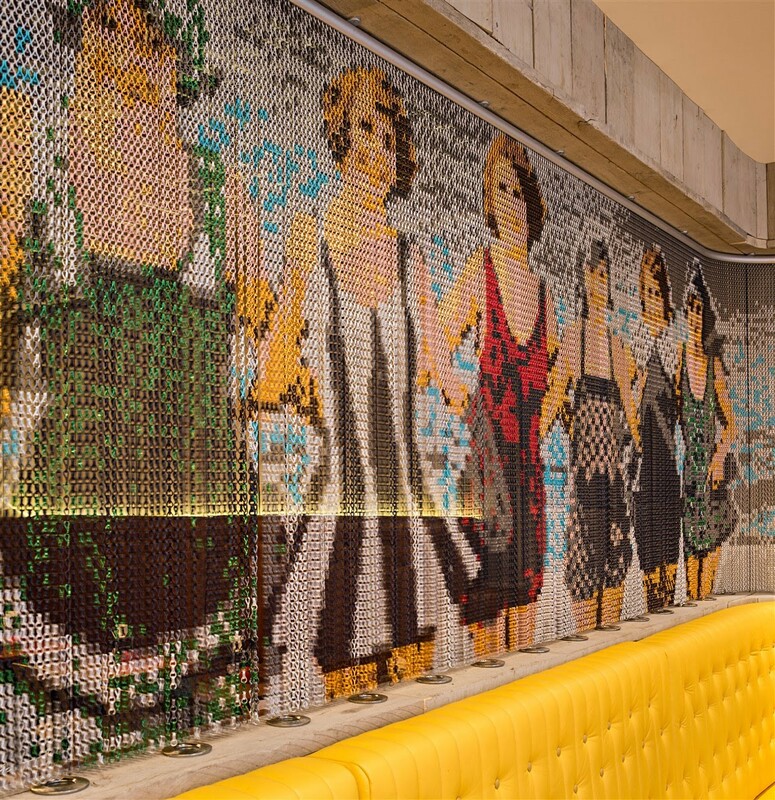 The vibrant interior mixing a palette of vintage imagery and objects with rich use of colour in modern materials. For example, the wallcovering solution of Kriskadecor with a high definition image where each link works as if it were a pixel.